Origin Larrea tridentata develops in the Sonoran, Mojave and Chihuahuan Deserts. 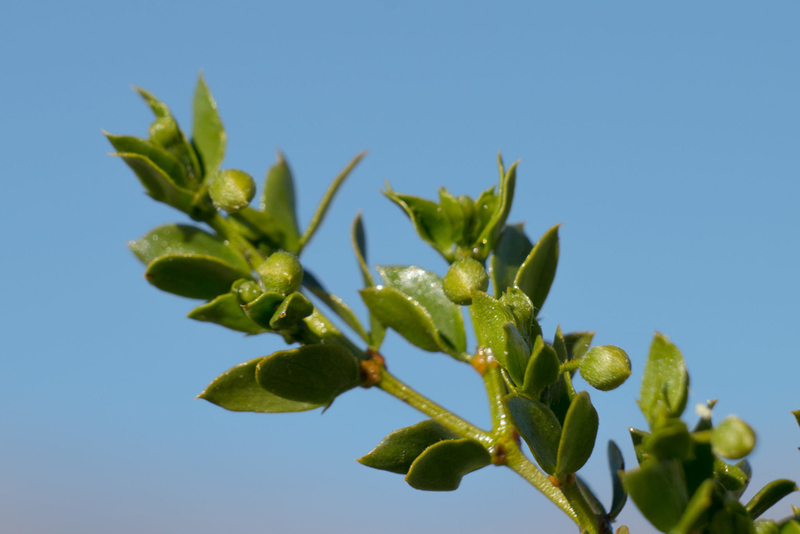 Larrea tridentate (commonly known as Black bush, Creosote bush, Chaparral, Creosote bush, Dwarf Evergreen Oak, Creosotum, Gobernadora, Greasewood, Grease bush, Guamis, Jarilla, Hediondilla, Paloondo, Kreosotestrauch, creosote, hediondilla, Kreosotstrauch, kreosotbuske, gobernadora) is a plant indigenous to the Sonoran, Mojave and Chihuahuan Deserts. It typically lives up to hundred years. It is a drought tolerant and evergreen shrub which grows up to 2-4 m in height and 1.8 m wide. Barks are smooth and gray initially which turns to darker. Stems are numerous and flexible. Leaves are alternately arranged, thick, resinous, waxy, yellow to green and 12-25 mm long. The leaflets are 7-18 mm (0.28- 0.71 inch) long and 4-8.5 mm (0.16- 0.33 inch) broad. The flowers have five yellow petals, solitary, axillary, 2 cm wide, hermaphrodite and 25 mm (0.98 inch) in diameter. Fruits are small, globose whose color ranges from reddish to white. The fruit is bitter in taste. Larrea tridentata develops in the Sonoran, Mojave and Chihuahuan Deserts. It is distributed from Southern California Northeast, Southern Nevada, Southwest corner of Utah, Southern Arizona, New Mexico, Western Texas and North central Mexico. 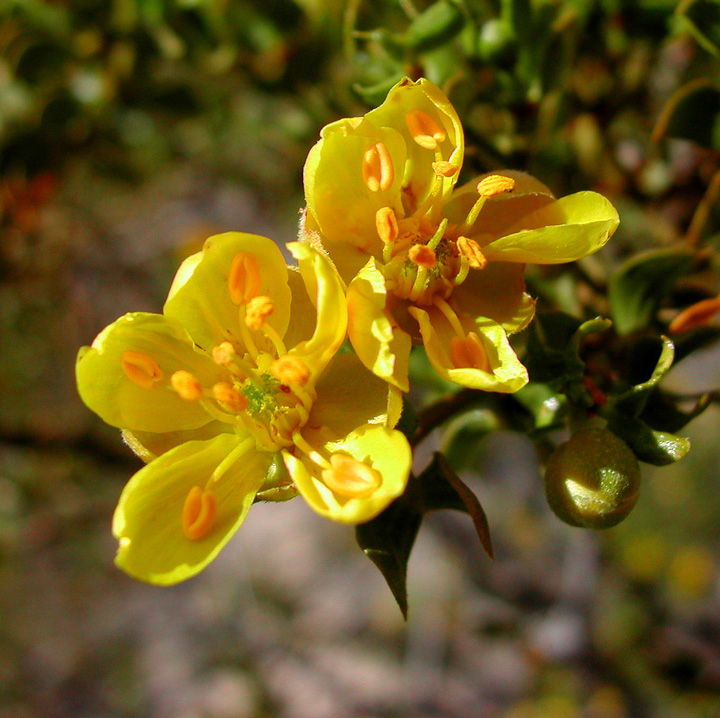 Creosote bush grows on well drained slopes, valley floors, plains and sand dunes. 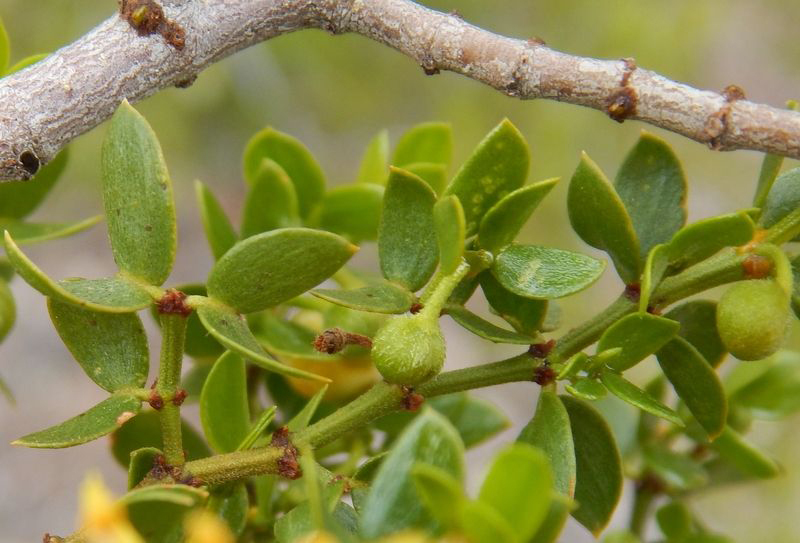 Creosote bush is considered to be very powerful herb. The leaves of this plant help to cure the diseases. It is highly respected for its healing properties but also possess some serious side effects. The leaves tincture is applied as lotions. 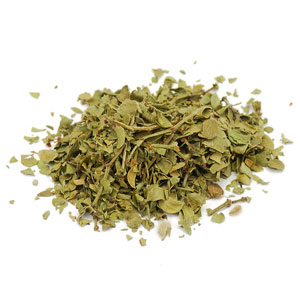 It possesses anti-inflammatory, analgesic, expectorant and antidiarrheal properties. It also acts as a natural expectorant which helps to soothe excess mucus. The infusion made from this plant helps to get rid from dandruff. Traditionally it is used as a cure for stomach pains, fever, colds, arthritis, anemia, sinusitis, pain killer and anti-diarrheal. It helps to treat the bacterial and fungal infections. The decoction made from the dried branches and bark is used to treat diabetes. The decoction made from dried root is used orally for abortive and diabetes. The plant infusion is used orally to cure infectious diseases. The dried leaf decoction helps to treat diabetes. An extract of hot water and dried leaf is used as a blood purifier, treats urinary tract infections, kidney problems and frigidity. 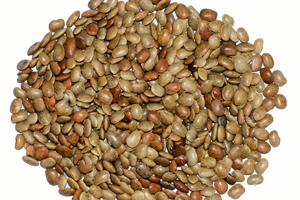 It is also used as an aid for gallstones, wounds, rheumatism, diabetes, arthritis, paralysis, tumors and skin injuries. The hot water extract of dried leaf is used as a tonic and expectorant to treat tuberculosis. It is used as diuretic, treat bowel cramps and veneral disease by Indians. The external use of hot water extract of dried leaf helps to heal wounds. The hot water extract made from dried plant is helpful for cancer. The decoction made from leaves helps to cure diarrhea and stomach ailments. Young twigs are used as a cure for toothache. The poultice made from leaves helps to treat chest complaints and also used as a wash for skin ailments. It is as a treatment for venereal infections, rheumatic disease, cancer and urinary infections. It is also used to treat liver ailments. A tea made from branches is effective for bowel cramps, inflammation, diarrhea, indigestion, ulcer and stomach pain. The tea made from Creosote helps to treat the respiratory ailments such as cough, cold, influenza, bronchitis and tuberculosis. It is also useful for anemia. Native Americans of Southwest believed that it helps to treat tuberculosis, maladies, chicken pox, sexually transmitted diseases, snakebite and dysmenorrhea. Coahuilla Indians use this plant for tuberculosis and intestinal complaints. The decoction made by leaves is drunk by Pima leaves as an emetic. It is used as a poultice for sores and wounds. Papago Indians used it for stiff limbs and menstrual cramps. Chaparral is used as a deodorant for the feet as well as armpits. Leaves and twigs are used as tea or pounded into powder, heated into an infusion or pressed into a poultice. 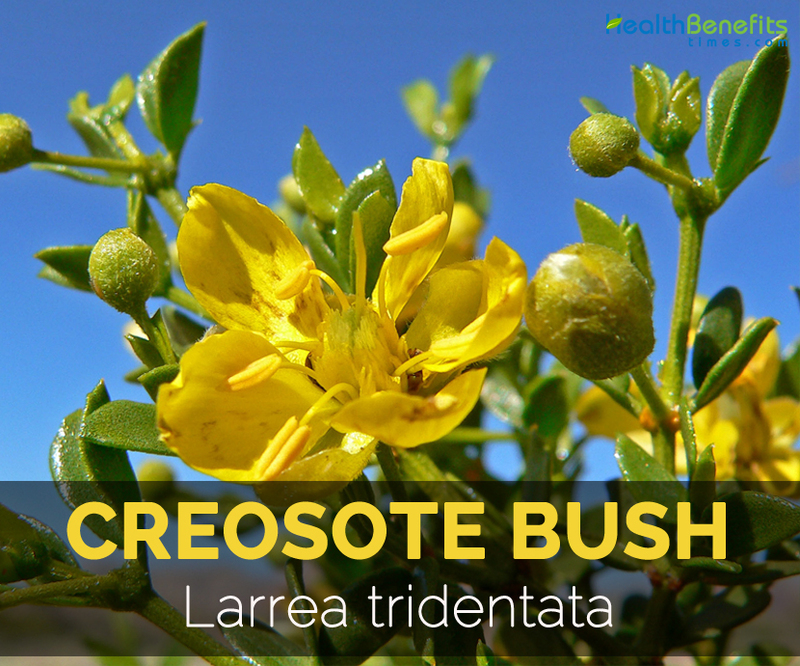 Creosote bush is used to encounter venereal disease and urinary infections. 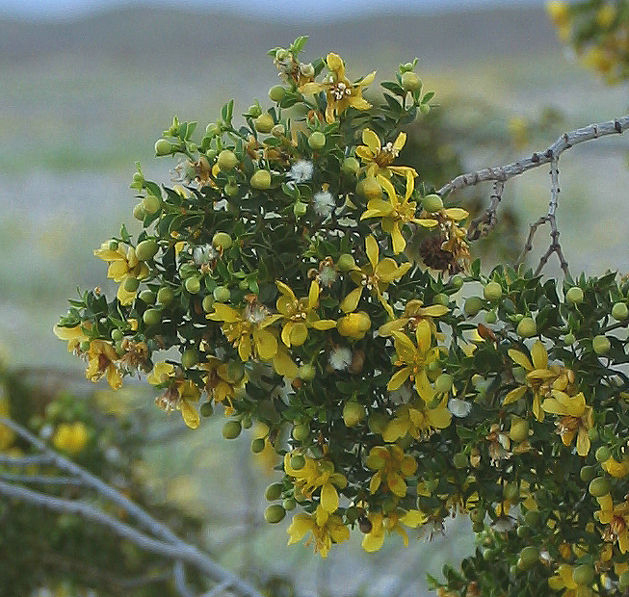 The use of Creosote bush result in fatigue, contact dermatitis, stomach upset, jaundice, liver damage, cirrhosis of liver, acute hepatitis and kidney failure. One should consult a health professional before treating any health ailments. It could lead to renal toxicity and hepatic. 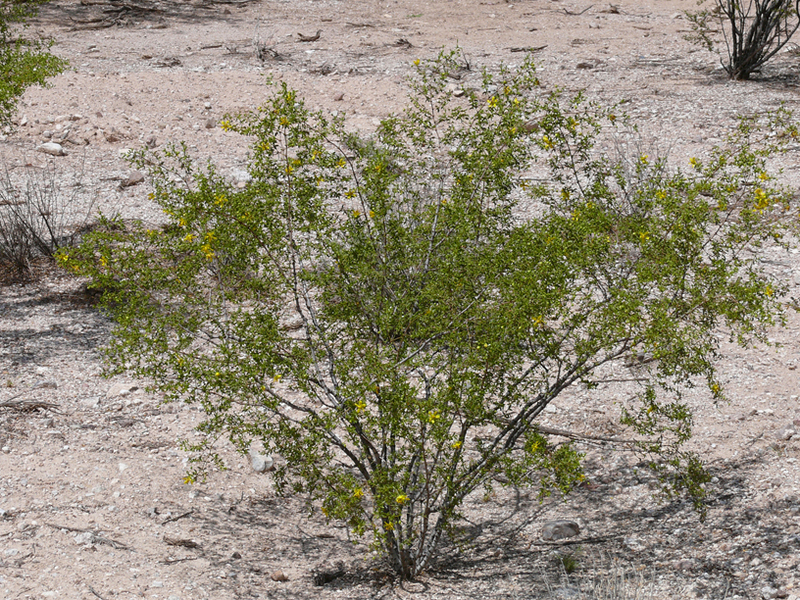 The small children, pregnant and lactation women should not use creosote bush. The people with hepatitis or liver cirrhosis should not use it. The external use may cause allergy in sensitive individuals. 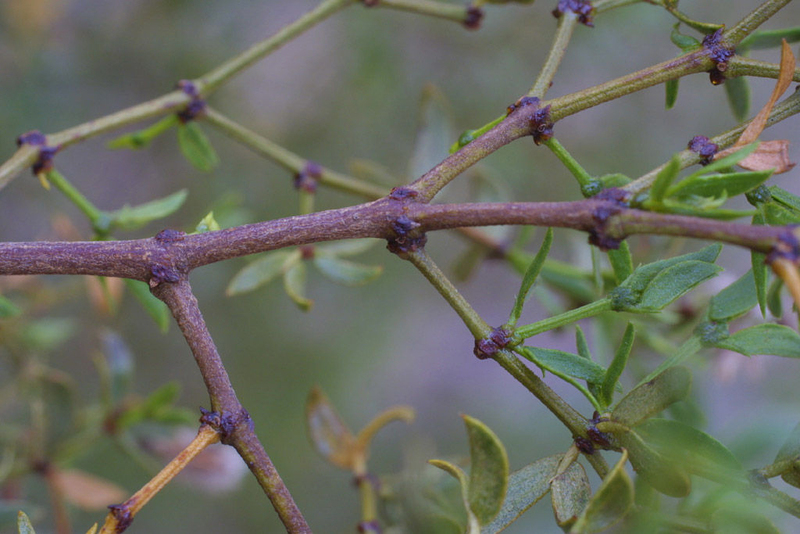 Use of Creosote bush on skin can cause itching and rash. Flower buds are pickled in vinegar and also used as a substitute for caper substitute. The leaves and stems are a substitute for tea. The chewing of twigs helps to relieve thirst. 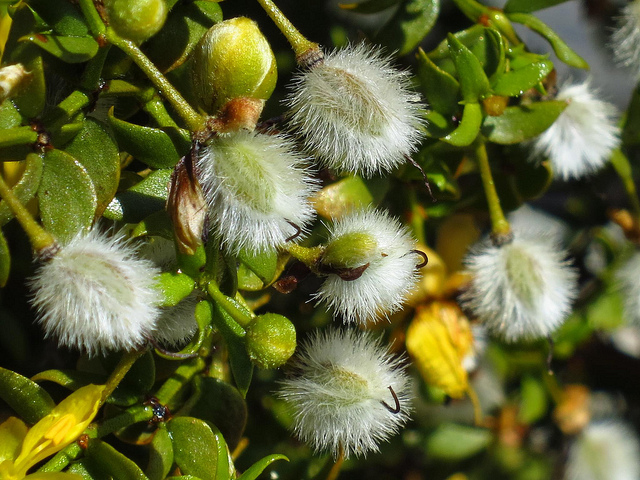 Creosote bush does not grow above 5,000 ft. in altitude. 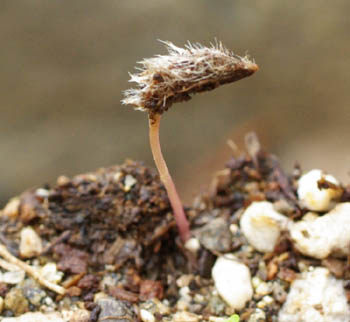 King Clone is one of the oldest living plants in Mojave Desert which is evaluated 10,000 years old.